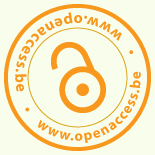 OpenAIRE Workshop on ‘Research policy monitoring in the era of Open Science and Big Data’ announced in Ghent. WHAT – A two day workshop exploring mechanisms for research policy monitoring and indicators: discussing the what ‘indicators’ and the how: infrastructure. This workshop is in collaboration with Data4Impact, with support of Science Europe.